After the great success of the Hawaii Achievers Blog Hop, I'm inspired to make more cards using lots of different techniques. If you are already tired of this nasty weather on the east coast of Australia, take a look at the tropical inspiration on the blog hop. 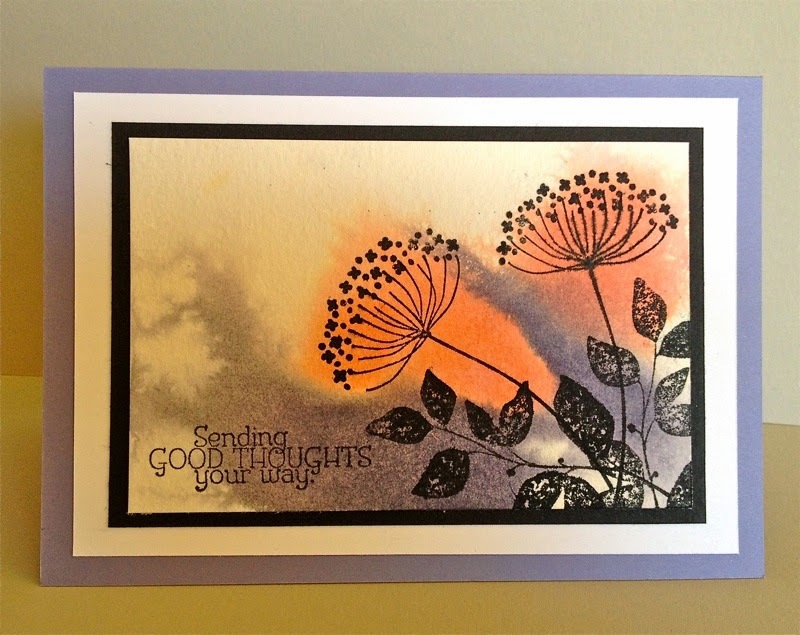 Today's card is created using Stampin' Up! 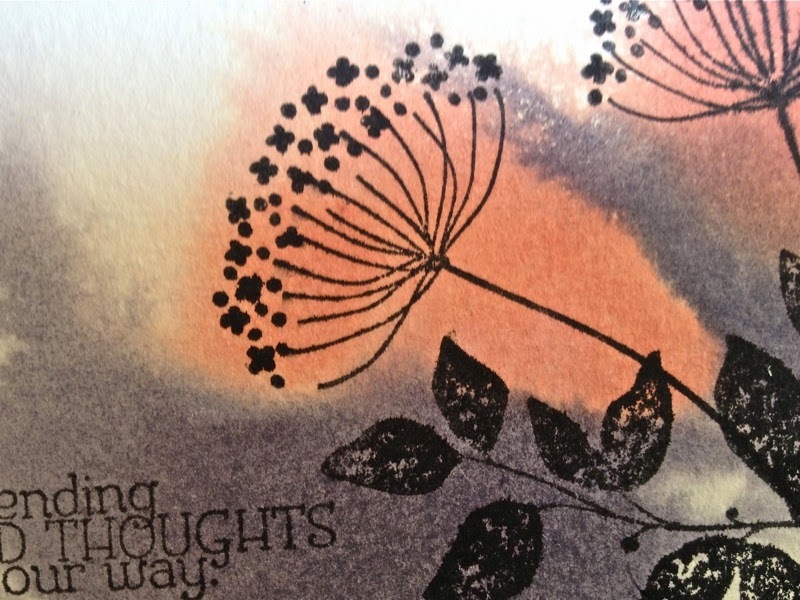 re-inkers dropped onto wet watercolour paper then stamped with Summer Silhouettes stamp set when dry. I used concentrated Pink Pirouette and Wisteria Wonder inks dropped onto a wet surface on this card and I love how you never quite know how the background will turn out. Wet on wet always creates a certain amount of serendipity and gives you a great base to position the stamped image without pre-planing too much. To enhance the black stamped image, I placed the card on a black mat, then a white mat and finally a Wisteria Wonder card base. Because water colour paper has such a lovely texture, the stamped images do not always come out as crisp as they do on Stampin Up! Whisper White card. That doesn't worry me at all - in fact I really like a more natural effect. I hope you enjoy this card and will give water colouring on water colour paper a try. It is important to use good quality paper, and Stampin Up! provides w c paper of lovely quality. You will find below a list of the products used. You are welcome to use my on-line shop to order any of these products.